The professional team members at Benefis bring their passion and skills to work every day, providing exceptional care for each patient. 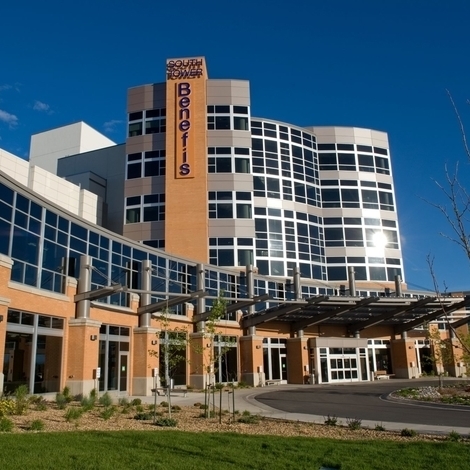 Joining the Benefis community gives you the chance to build a rewarding career as part of Montana’s premier health system. Benefis Health System serves about 164,000 residents in a vast, 13-county region. But we never forget that the best care is personal, and we treat each patient as we would a friend or family member. We’re here to help you live the best life possible. We encourage you to advance in your field, and we provide the opportunities, support, and resources for you to reach your goals. Our total compensation package is designed to give you and your family a sense of security and well being. Round-the-clock patient care means some employees work inconvenient or on-call hours. We show our appreciation with extra compensation for those shifts. We offer an array of educational scholarships to student nurses as well as current employees who want to pursue healthcare or advance their education or certifications. Some prospective employees have skills that fit specific needs at Benefis. We offer generous sign-on bonuses for these professionals. We understand that moving to the Great Falls area can be an expensive process. We can lighten your load with a variety of relocation packages. Our excellent health insurance options include vision, dental, and prescription medicine coverage. We also offer an employee assistance program, a health savings account, and a wellness program with hiking and biking classes, free health screenings, smoking cessation, and more. Benefis Health System is an Equal Opportunity/Affirmative Action employer. All qualified applicants will receive consideration for employment without regard to race, color, religion, gender, sexual orientation, national origin, disability, or protected veteran status. Reasonable Accommodation: Benefis Health System provides reasonable accommodation so that qualified applicants with a disability may participate in the selection process. Please advise us of any accommodations you request in order to express interest in a position by e-mailing: accommodations@benefis.org Please state your request for assistance in your message. Only reasonable accommodation requests related to applying for a specific position within Benefis Health System will be reviewed at the e-mail address supplied. Thank you for considering a career with Benefis Health System.